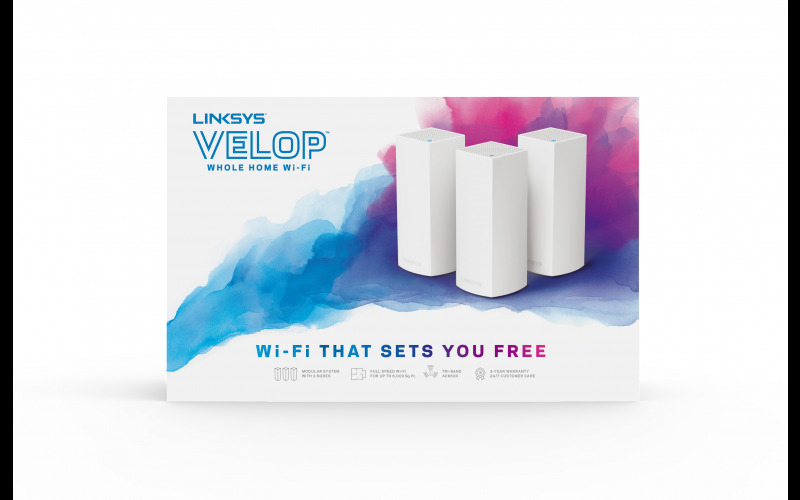 Linksys is giving away two VelopTM Whole Home Wi-Fi Systems (worth £379 each). Whole Home Wi-Fi is the newest technology in networking; not a router, not a range extender, but a new category combining both to provide simple, seamless coverage to your entire home. Velop is designed to blend in with your home’s décor so you don’t have to hide it away. It’s very easy to set-up and use. Just place the small devices around your house. These nodes blanket your home in Wi-Fi and optimise your Wi-Fi signal so it always performs at full speed, no matter what time of day it is or if it’s a big game day. You’ll only need one network name and password, and one app to manage your whole home. And it’s easy to share your Wi-Fi guest network credentials with visitors over SMS when they come over so they won’t waste their 4G data plans. Velop also supports Amazon’s Alexa so with voice commands you can turn on your guest network before friends and family arrive.